European Union High Representative for Foreign Affairs and Security Policy/European Commission Vice-President (HRVP)-designate Federica Mogherini enters her job with a full plate. The rise of Islamic State, like the Arab Spring, appeared to come from nowhere, the crisis in Ukraine escalated quickly, and the general feeling of the EU Neighbourhood being ‘on fire’ stalks the corridors of the EU institutions. Yet, as we argued just last week, ill-conceived firefighting and wishful thinking won’t impress. A HRVP who dismisses structural reform and longer-term strategic thinking is condemned to repeat past mistakes and be caught in a cycle of ineffectual crisis management. New directions not complemented by thought-out change management in the EU institutions are also doomed to fail. Thankfully, Mogherini’s vision, laid out in her European Parliament hearing, is to ensure a common, long-term vision to prevent crisis and to manage post-crisis situations and beyond. In his Political Guidelines, European Commission President Jean-Claude Juncker calls for a “stronger Europe” in foreign policy. He underlines the HRVP’s objective to ensure more effective external action, and to show unity of purpose and action. 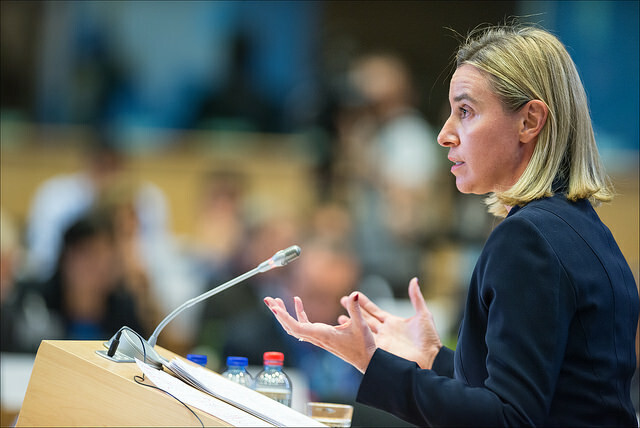 He outlines that “the next HRVP will have to be a strong and experienced player to combine […] all tools available in the Commission, in a more effective way than the past.” Mogherini intends to ensure this by increasing European ownership of the Foreign Policy, improving institutional relations and ensuring coordination and coherence among all Commissioner portfolios. This will be quite some challenge with inter-institutional coordination difficult enough, and getting full member-state buy-in even harder. During Mogherini’s hearing, references made to Africa were predominantly in relation to conflict, crisis and migration and it is clearly the EU Neighbourhood at large rather than Africa that is her geographic priority. She however does not want to see Africa as only problematic and sees potential in terms of democracy, population, energy, trade and human development. Where Africa is concerned, the EU has talked in similar terms for some time, but follow through and the shift of mindset within the institutions has been slower, lacking political sponsorship from the very highest levels. Surprisingly, the EU’s strategic partnership with Africa made an appearance in no less than four Commissioners portfolios – which was a lot more than expected given how low a Commission-wide priority Africa has been in the past. 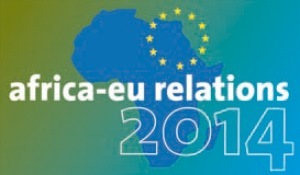 Despite a successfully attended 2014 EU-Africa Summit in April, the highest-level political dialogue and engagement in meaningful new initiatives has been disappointing on both sides. Mogherini could choose to invest in the relationship giving much needed higher-level political sponsorship and direction. At the hearing, Mogherini mentioned working with the Commissioner-designate for International Cooperation and Development Neven Mimica specifically on the post-2015 agenda. In her written response to the Parliament, Mogherini wrote that “relationships with the so-called developing world, especially Africa, will need to be re-calibrated”, that limited aid resources should be used strategically, and that this will require “innovation and new thinking”. Specifically, she made reference to trade policy as a key instrument in eradicating poverty, and called for migration and human mobility to be a core component of the post-2015 development agenda. The root causes of displacement should be addressed in terms of the humanitarian, human rights and developmental needs in countries of origin, she said. She also mentioned in her written response the partnership with the 79 member African Caribbean and Pacific (ACP) group of states and the future of the ACP-EU Partnership Agreement. Indeed the future of EU’s legal partnership with the ACP Group can’t simply be left to the Commission’s Development Directorate and the EU Member States. While there is more to chew on with regard to Mogherini’s approach to development in her written response, the hearing before the Foreign Affairs Committee to the Parliament signaled more of a move to an international cooperation agenda. 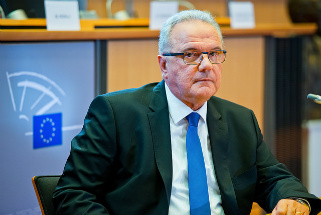 Given that there is a separate EP Committee for Development that already had their day in the sun with Commissioners-designate Mimica, and Christos Stylianides for Humanitarian Aid and Crisis Management, it is unsurprising that she only got a limited opportunity to showcase her knowledge and interest in wider development issues in the hearing. Mogherini seems serious about policy coherence and outlined it as one of the key tools to make full use of the EU’s external potential, saying, “There is not one EU internal policy that is not linked to an external dimension”. She listed energy, justice, home affairs, development, enlargement, neighbourhood, trade, migration, environment and climate in these terms. Yet the question remains what the goal of policy coherence will be? Will it be policy coherence for development? Some have long argued for this, and it is a legal commitment under the Lisbon Treaty. Another possibility is policy coherence for the EU’s narrow short-term security interests, which would be against longer-term interest. Reconciling EU development, human rights and multilateral values with shorter term EU economic and security interests will be one of the ultimate challenges of her role. She noted that she wants to hold regular meetings with other Commissioners wearing the Vice President hat more firmly than in the past. An idea that the European Think Tanks Group has also been championing in their recent report. Mogherini also reflected upon the EU Comprehensive Approach and the sense of urgency the numerous challenges pose. She asked for 100 days to review how things work from the inside. She noted the tools are there, but also a complicated decision-making process and that streamlining is key. It would be good if Mogherini sees the recent policy pronouncements on the EU’s Comprehensive Approach as a floor to build from, not a ceiling that can’t be breached. Overall, Mogherini emphasised the need to improve institutional relations between the European External Action Service (EEAS), the Commission, the Council and the European Parliament. Her cabinet will be relocating to the Commission Berlaymont building. She also pointed to a “special partnership” with the Parliament – a handy offering if you are appearing before them in a quasi-job interview. Mogherini’s desire to open up to a wider foreign policy community of civil society including think tanks is something an older generation of diplomats would have been a lot less comfortable with, but it is indeed welcome. The EEAS has been discreetly pursuing an innovative approach to engaging think tanks and civil society on conflict prevention and peacebuilding for some time, and their homework is currently being done on how it can do this better in relation to Africa – so again, there is something to build on. Ultimately, Mogherini gave a confident performance on a wide-ranging dossier. Yet, she will need all the help she can get to deliver a more coherent and effective role for the EU in the world. The views expressed here are those of the authors and not necessarily of ECDPM. 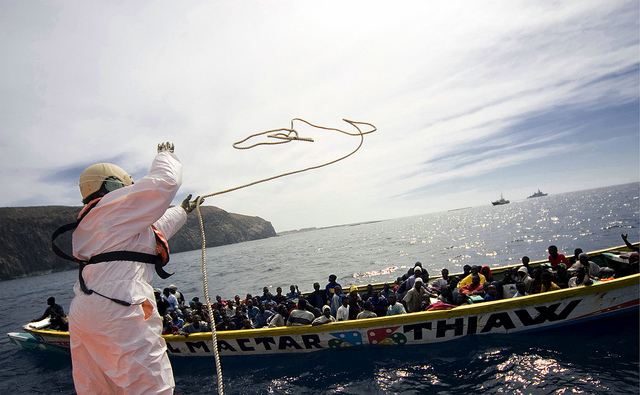 Photo courtesy of EU External Action Service. If you are interested in ECDPM’s wealth of material on leadership in EU External Action, as well our forward looking work on the challenges ahead for EU Development Cooperation, please download, read and share some of the following publications that form ECDPM’s research and facilitation work as a non-partisan broker. For more publications please search under our Topics or use the Search function at ecdpm.org where you can filter your search results to get what you need. The Challenges of Global Governance and the Emerging World Order: What Role for the ACP-EU Partnership? What future for the ACP and the Cotonou Agreement?